Hello Wednesday folks! 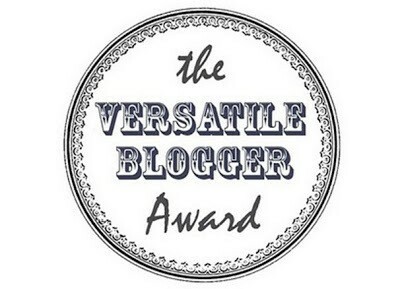 Sorry this is late, I have had a mega stressful week, however you are in for a treat with this guest blog this week. My gorgeous friend Rachel, over-lady of #SundayYA, #SundayYAthon and 100-or-less has popped along to talk about YA books which discuss one of the most important things to a person – their mental health. It’s Mental Health Awareness Week next week so it was only natural that this fit in perfectly here!! For those of you that don’t know, next week (8th to 14th May) is the Mental Health Awareness Week. Over at #SundayYA I will be hosting a chat on mental health YA with some lovely guest authors, but today I want to share with you some of my favourite YA that talk about and raise awareness of mental health issues. Made You Up by Francesca Zappia follows the story of Alex, a girl diagnosed with schizophrenia, as she tries to figure out the world with her Magic 8-Ball and her trusty camera. She thinks she has it all sorted out but then she meets Miles, and Alex begins to question her reality. As the title suggests, the story is told from first person so it’s pretty hard to tell what is real and what is due to Alex schizophrenia, but all this makes Made You Up a wonderful insight into what it is like to live with psychosis, and how those with a diagnosis can learn to live with it. An older YA that deals with mental health, and one that often gets overlooked, is My Heart And Other Black Holes by Jasmine Warga. Aysel wants to commit suicide and, in her search for a Suicide Partner, meets Roman. They plot their death together but, in doing so, Aysel realises she has a lot more reasons to live. I thought this would be a very difficult read and at times I was ready to give up on it, but it turned out to be a beautifully hopeful story of rediscovery that I fell in love with. A book I have recently read that talking about mental health is Countless by Karen Gregory. Hedda has anorexia (which she refers to throughout her story as a person called Nia), but when she discovers she is pregnant she calls a truce with her eating disorder. As she goes through the pregnancy she learns that some choices are harder than others, and not everything in life can be counted. Countless is a particularly harrowing read, but one that I couldn’t put down. What struck me about this book was that, despite dealing with eating disorders, not once is a number mentioned. I found this to be rather important, as it demonstrates that it is possible to tell a story about mental health that can be realistic without being potentially triggering. 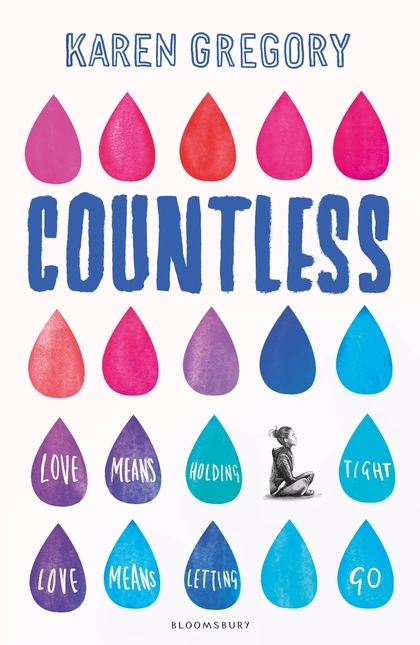 I couldn’t talk about mental health in YA without mentioning Under Rose-Tainted Skies, an Own Voices novel by Louise Gornall. Norah has agoraphobia and OCD and has accepted that the four walls of her house will be where she spends her life. That is, until Luke turns up on her door and changes everything. He’s patient and understanding, and sees Norah for who she really is. Under Rose-Tainted Skies is a truly wonderful read, and one that shows that sometimes, it’s okay to take risks. On the topic of OCD, another YA I have loved, and the only one so far I have re-read, is Am I Normal Yet? by Holly Bourne. Evie has OCD and believes she is coping with it, but as she starts college and makes new friends she soon begins to spiral out of control. Although Am I Normal Yet? deals with some pretty tough themes, it manages to be light hearted and funny throughout, which made this story really stand out to me and will see me go back to it many times in the future. 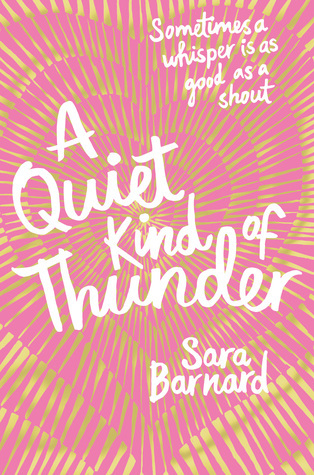 There are a lot of YA books about anxiety, but recently I really enjoyed reading A Quiet Kind of Thunder by Sara Barnard. Steffi is a selective mute and struggles to communicate to people outside of her immediate family. Her headteacher introduces her to Rhys, who is deaf, and with her limited understanding of British Sign Language she builds a friendship she can truly be a part of. A Quiet Kind of Thunder really captures what it is to have anxiety, and is written in such a way that, by the time I read the last page, I felt like I was parting ways with a friend. Mental health comes in many forms, and a YA read that particularly stands out when I think of neurodiversity is The State of Grace by Rachael Lucas. The State of Grace follows Grace, a narrator with Asperger’s, as she comes to term with a lot of changes in her life whilst trying to fit in with her friends. 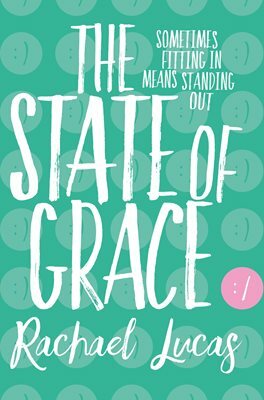 I found the State of Grace to be not just enjoyable but fascinating to read and, as someone who works with students on the ASD spectrum, a real insight into what it is like to be on the spectrum. I learnt a lot from reading it, and will carry this story with me for a long time to come. Of course, there are a lot of amazing YA books out there that talk about mental health, but these are the ones that have particularly stood out for me. Happy reading! 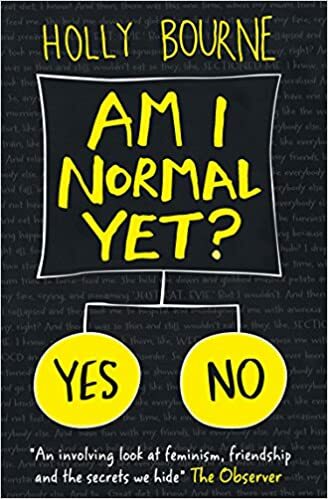 Thank you so much to Rachel for writing this incredible insightful blog all about different YA books which deal with mental health, in all its variations. Remember to join in #SundayYA chats on Sundays between 6 and 7 pm! Review of Countless to come, I just recently finished it and my word. I loved every second of it. It absolutely killed me. Which other YA books would you recommend for Mental Health Awareness Week?